1- What was a daily schedule at the program, hours volunteered? I went to the child care center during the week from 8am until the kids left at 1:30pm! This was a perfect schedule because I was able to pass time with the kids, but I also had afternoons free to explore the amazing city of Cusco. At the kindergarten I helped the kids with their work, played with them at recess and even taught them a little bit of English. The classroom that I was in was kids of the age of 5 years old. They were so sweet, loving and free spirited! Their smiles made the volunteer experience amazing. 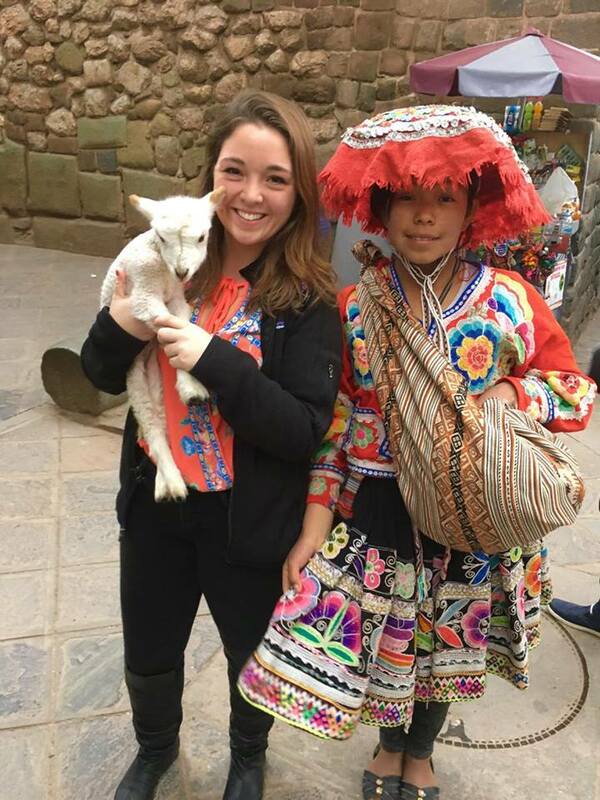 Host Family: I was surprised how quickly I felt at home at my home stay in Cusco. Once I arrived home, my host mom made sure that I knew where everything was and made me feel like a part of the family. Staying at a homestay in a foreign country really adds a lot of an abroad experience. Home stays allow you to fully immerse in the culture and it always nice to have a family supporting you! 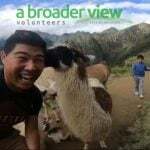 Program: At first I was nervous to go to the volunteer program because I wasn’t sure what I would be doing and if there would be anything for me to do. 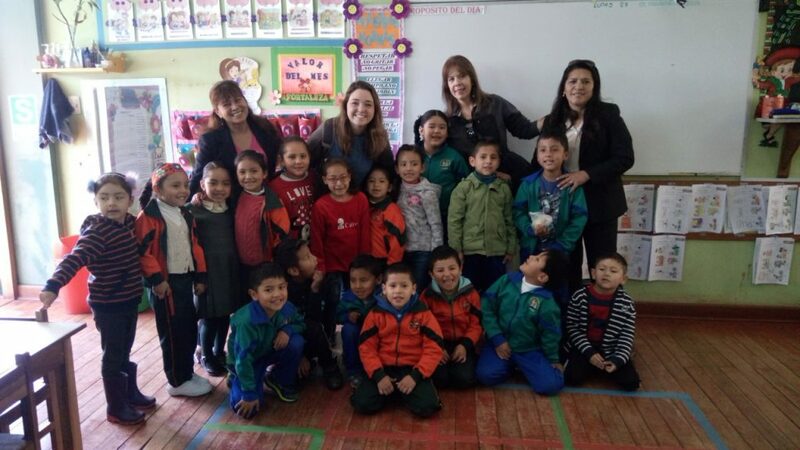 It was amazing that the teachers and the kids welcomed me with open arms. Each kids greeted me with a big hug and a warm “buenos dias” every morning! 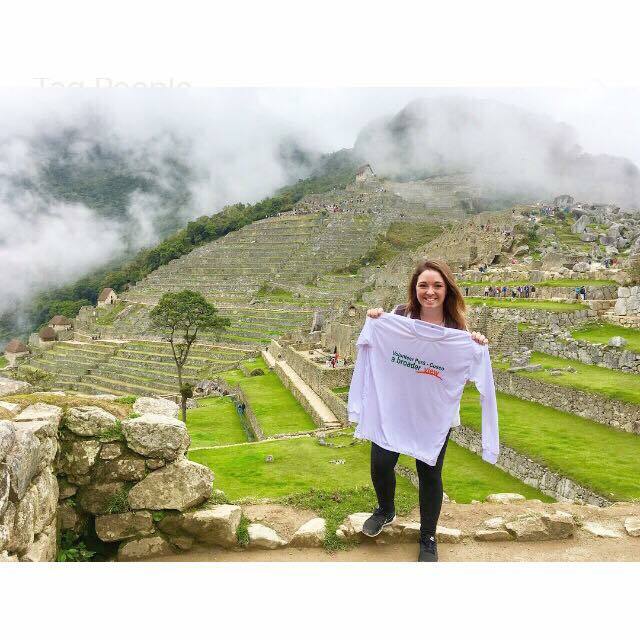 Country: Of course I was nervous to go to a country all by myself, but I was pleasantly surprised that Cusco is full of nice people and I never felt in danger. I also had the chance to go on a city tour of Cusco, which I 100 percent recommend. There is so much history in and around Cusco that it is important to appreciate what is right in the city that you´re volunteering in! 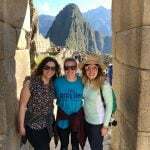 Host Family: I was lucky enough to have experience with living in a home stay before my trip to Cusco, so entering a homestay in Peru was not too challenging for me. For some advice though. I would say, make sure that you ask your homestay what the rules of the house are at the beginning and discuss any potential issues when they arise. This is will avoid a lot of issues during your stay and will help you feel more comfortable! Program: The most challenging part of the program is being willing to put yourself out there at your volunteer location. It may feel uncomfortable because your location has a schedule that they follow every day, but stepping out of your comfort zone will help you get the most out of your time. Country: The most challenging part of the country of Peru was learning the societal norms. Before traveling it is always important to look up information such as tipping and other parts of the culture. Although the people of Cusco were always nice, it was important that I didn’t let my guard down and walked with awareness of my surroundings. Traveling can be amazing but you also just have to remember to be smart! Make sure you bring toilet paper with you just in case. Although your homestay will have toilet paper, sometimes the volunteer locations have limited supplies. Bug spray is also a must if you plan on traveling to Machu Picchu! In Cusco, there isn´t a large need for the bug spray, but once you travel to Machu Picchu, mosquitos become a big problem. As for internet/phone use, if you have AT&T there is a nice deal of 10$/day to use your phone as normal in Peru. I only traveled for a week, so paying that small price a day was worth it so that I could have my phone in case of emergencies rather than looking for wifi. Host Family: Spend time with your host family! They will really help with your Spanish. Country: At the airport, get some soles (money of Peru). This will help you when you´re in the airport and when you first arrive to get some water bottles and snacks. Coming to Cusco with A Broader View was probably one of the best experiences of my life. Just like everyone would be if they came to a foreign country alone, I was nervous that something would go wrong or I would find the experience too difficult. With the support of Maria Elena, her family, ABV in America, my volunteer location and the people of Cusco, I was the happiest person ever. 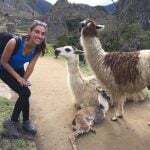 I got to volunteer as well as learn the unique history of Cusco, Peru and the Incan people. The US and Peru have so many differences, but by coming to Cusco I have a new appreciation for happiness. Seeing the kids of the kindergarten come to school with big smiles of their faces reminded me that happiness isn’t based on the things that you have, but rather what you make of it! Meals: Delicious! My host mom really listened to what I liked and did not like and always made sure that I had a full stomach. Security: I always felt secure during my trip to Cusco. The homestay had a fence that locked as well as the front door that both were always locked. Friendliness: The people of Cusco are so friendly! From my homestay, to the teachers at the kindergarten, to the locals in restaurants, the people of Peru made Cusco feel like a second home. 8- How was the local ABV Coordinator/staff and the support provided in-country: Airport, orientation, introduction to the program, schedule of the program, friendliness, solving problems? The ABV Coordinator in Cusco was amazing! Maria Elena picked me up at the airport right when I arrived, even though I missed my original connecting flight! Once she got to know me as well, she worked with me to set up the best volunteer experience I could possibly have. She always went above and beyond to make sure that I was getting the most out of my experience. She gave me tips of good restaurants, places to see and what to do with my free time. 9- What was your favorite memory of this trip? 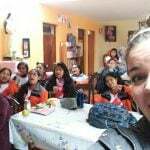 Accommodation: My favorite memory of my homestay was being able to sit around the table and practice my Spanish. It sometimes can be difficult to practice Spanish back in the US, so being able to talk with Maria Elena and her family made my Spanish improve tremendously! Program: My favorite memory from the program was seeing the kids smile every day when I walked in the room. They all started calling me their “english teacher” and my mornings become full of teaching them every word they wanted to know in English. They are so sweet and it is grounding how grateful they all are that you are spending time with them. 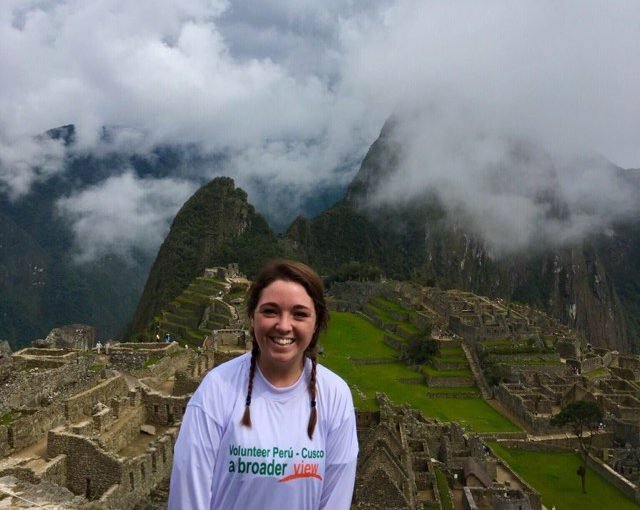 Country: My favorite memory from Peru is the “home-y-ness” of Cusco and Machu Picchu!! Machu Picchu was an absolutely breathtaking and humbling site to see. I didn’t have anything planned before coming to Cusco, but Maria Elena helped set everything up for me so that I could see the amazing ruins. ABV prior to traveling to Cusco was great. 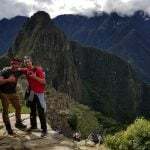 They sent me emails regarded tasks that I still needed to complete as well as an in depth guide of tips for traveling to Cusco. All of my emails were answered promptly and when I missed my connection flight to Cusco, someone was available by phone 24/7 to let the ABV coordinator know as soon as possible. 11- What do you think about the reservation system online? I had no issues with the online application/reservation system! My application was responded to quickly and the process was simple and fast to complete. 12- How did you find Abroaderview website? I actually just googled volunteering abroad opportunities and it came up as an option. After doing some research into potential programs, ABV had great reviews and I am happy I chose to travel with ABV. 13- Are you willing to speak to other potential ABV volunteers?